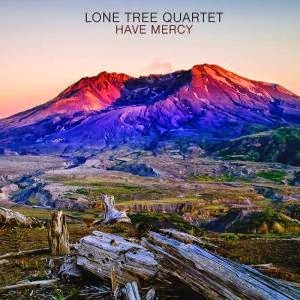 Lone Tree Quartet released their debut album Have Mercy last month, a nine-track album steeped in the finest traditions of folk and country with informed nods to other genres, a genuine music lovers' album for both its makers and its listeners. From the opening bars of the record, where a voice exhorts the rest of the band "OK, boys, just play what's in your heads", Have Mercy has the feel of exactly that, a completely natural record that doesn't possess a single false pretence across its nine tracks, succeeding in sounding both unwaveringly familiar as well as having their personality and influences stamped over it, unafraid to let go with a variety of guitar solos when the mood takes them but within the framework of robust, strong songs throughout. That voice, the sound of front man John Cunningham, has a reassuringly warm depth to it from start to finish. The songs fit together perfectly and it feels like a lot of effort has gone into the track listing, from the warm opening of first track Resistor through the more thoughtful contemplative Fairground, which muses on "all this slight of hand dealing in a world of cold feeling" over a simple yet wholly appropriate to the mood acoustic guitar. It's a theme that runs through the whole album, the country-tinged Devil Hilly and the title-track Have Mercy, the blues undertones of Winter Coat as well as the descriptive story-telling of Straight Through The Clouds and album closer The Take retain an innocence to them through a refusal to over complicate and to rely on the strength of their songs and their musicianship. They do threaten to break out into a stomp as the chorus of It's A Night For Vultures builds, but as elsewhere on the record, its restraint, often a negative in music, is very much a positive here as it allows everything the room to breathe. Have Mercy is a beautiful record because it doesn't try to be anything it isn't. There's no unnecessary clutter, no need to fill the gaps in the quiet parts of the songs, they just allow the music to flow naturally. That's the sign of musicians that are in this for the love rather than the money and acclaim (although I'm sure they'd accept one or the other or both). It feels like it's been created with a friendship and understanding of each other that goes way beyond music. Its timeless appeal is confirmed by the fact that it feels as if it could have been written and recorded any time in the past forty years such is its timeless appeal. Lone Tree Quartet's official website can be found here. They are also on Facebook and Twitter.